The workflow defines which actions are necessary before a user is allowed to reset her password. This can be an otp email, sms or a question and answer gate. 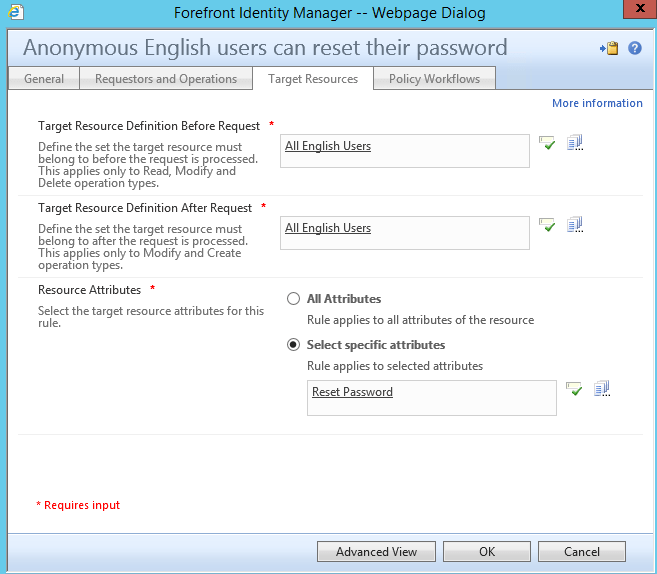 The management policy rule links the users that are allowed to reset their password to the correct authentication workflow. The set is linked to the MPR as the target resource field, because the requestor of a password reset authentication workflow is always an anonymous user. As last step, you need to add these new objects to the Password Reset Objects Set. Otherwise SSPR will not work. The first two enable and disable builtin MPR’s for SSPR. The last one localizes the default question and answer gate based on information provided in an XML configuration file: sspr.xml. 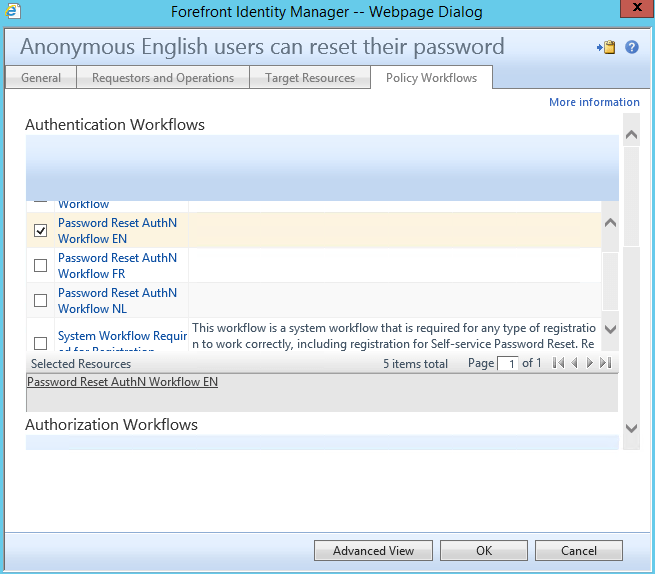 The function assumes that the default configuration of Password Reset AuthN Workflow is untouched. 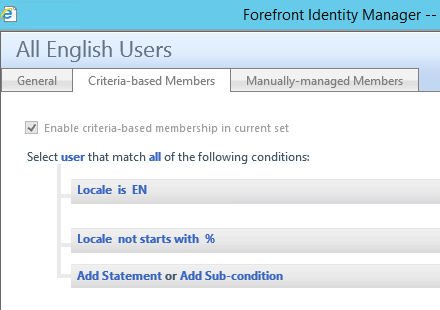 It copies the XOML field and does a string replace of the questions, constraints and error messages with the values from the configuration file.